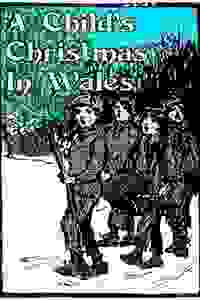 Told through the eyes of a child, the story is a nostalgic review of life for a little boy in Wales during the 1920’s. The stories are not so much about the festivities of Christmas as about the peculiar habits of people as revealed in this season of feasting and merriment. The story takes a look at how unusual the world appears through the eyes of a little boy who is still discovering life. See it if you love Christmas and Christmas music. Don't see it if you're looking for a traditional narrative or something that's deep and thought provoking.